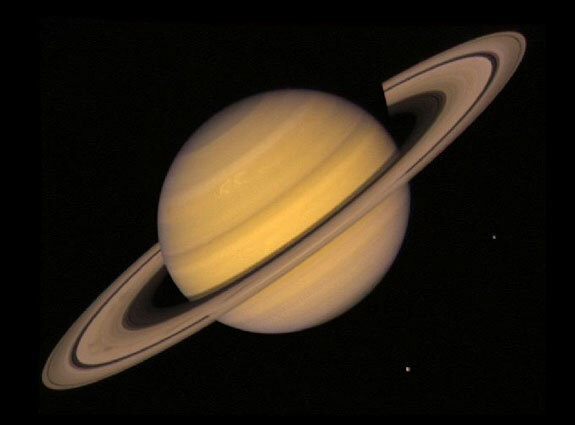 The planet Saturn is the sixth planet from the Sun, and has a radius that is 9 times larger that our Earth. The Gas Giant Jupiter has 62 known moons orbiting the planet and winds on its surface can reach speeds of up to 1,100 mph. Only Neptune has faster winds on its surface, reaching 1,300 mph. 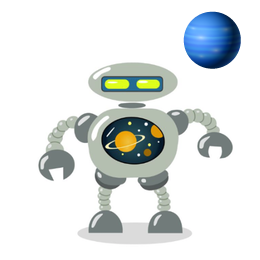 Even though Saturn is classed as a Gas Giant Planet the planets not made up entirely of gasses. Its thought that Saturn’s core is rocky and consists of iron, nickel and rock made up of silicon and oxygen compounds, which is then surrounded by a thick layer of metallic hydrogen, together with an intermediate layer of liquid hydrogen and liquid helium, finished by an outer gaseous layer. Saturn’s core temperature can reach 11,700 ?C and the planet radiates 2.5 times the energy in space than it receives from the Sun. Saturn’s ring system consists of 9 continuous main rings and 3 discontinuous arcs, which are made up of mainly of ice particles together with dust and rock. When compared to Jupiter’s rings, Saturn’s rings are much fainter, and are wider towards the equator of the planet.